DURING winter, I spend little time sitting in the conservatory enjoying the garden. This is mainly because it is dark when I get up and dark when I get home. Even at the weekends I avoid using this area of the house as it gets very cold. Often I can’t even see out of the windows due to condensation. 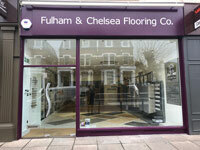 Many main contractors and even flooring contractors don’t seem to see any problems in conditions like these! 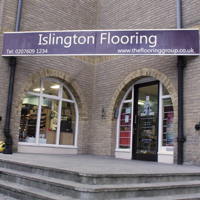 The reality is that most flooring products need minimum conditions to perform. Most will not perform anywhere near their design performance parameters unless the conditions allow them to work. I would like to offer guidance on what is required. This month I examine damp proof membranes (DPM) and primers. These are both liquid systems applied in thin films onto a subfloor. Upon drying and/or curing they perform a function by creating a thin film of either polymer or resin. The function may be simply as a pore sealer in the case of primers, or a moisture vapour barrier to minimise moisture movement from substrates into flooring systems (DPM). The most common DPMs are two pack epoxy membranes. There are also single pack polyurethanes (PU) and some water based moisture suppressant products that can be used up to certain levels of residual moisture. Both epoxy and PU products are ‘curing’ systems: A reaction takes place enabling a liquid material to cure to give a strongly bonded solid material, which can inhibit the movement of moisture vapour from the substrate into the flooring system. (typical standard lab test conditions). They also correctly state that colder temperatures slow down the curing time. However, they may also specify minimum temperatures at floor level, typically 10degC (sometimes 15degC) to enable the product to be used. This may be due to the delay in curing, but chemical reactions have been shown not only to slow down, but can actually not occur at lower temperatures. Epoxy resin systems at below 10degC are often found to not cure correctly, frequently leaving a greasy orange peel effect on the surface. If the product isn’t properly cured it will not adhere correctly to the subfloor, not achieve its designed film integrity to bond to and, most importantly, will not behave as the moisture vapour barrier is expected. At temperatures of less than 10degC moisture may actually condense on the subfloor surface. This may not be readily observed on the floor if it is an open textured screed, but can often be seen on power floated concrete. This can hinder the bonding of products. Epoxy and PU systems often have formulations allowing them to adhere under these conditions, effectively utilising the moisture in the curing process. With water-based suppressant products the level of moisture on floor surfaces at low temperatures could prevent adhesion. For example, think of using a water-based emulsion paint on a damp cold wall; it is highly likely to peel off or crack on drying. humidity prevalent in the air on cold sites. This greatly reduces the drying rate of the materials, as often stated, moisture only moves to an area of lower relative humidity with the rate dependent on the humidity gradient between. A cold site with condensation appearing on walls and windows has a relative humidity probably over 90%RH, not the 65%RH quoted on datasheets. Another issue, often overlooked, is that products are brought up to working temperature before use. We design primers and DPMs to work in liquid form giving the correct viscosity and handling characteristics at the given application stage. With water-based products in particular, colder temperatures generally cause higher viscosity i.e. less like milk and more like thick batter. This results in less penetration into the subfloor and often thicker than required applications that can mean slower drying. With epoxy systems materials become much harder to mix together properly, which compromise the integrity and uniformity of the applied material. 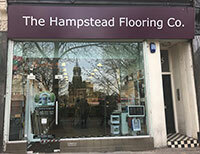 Next month I explain why poor conditions are a problem when using smoothing compounds, adhesives and floorcoverings. 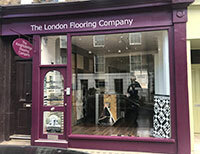 This article has been reproduced from the Contract Flooring Journal website. 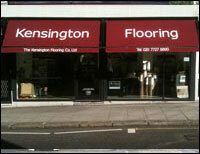 You can find them at www.theflooringgroup.co.uk.